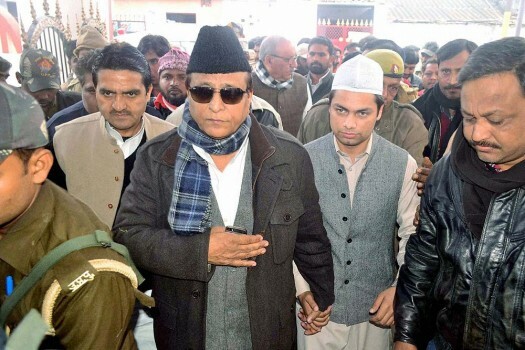 Samajwadi Party leader Azam Khan before filing his nomination papers from Rampur constituency for the upcoming Lok Sabha elections in Rampur. 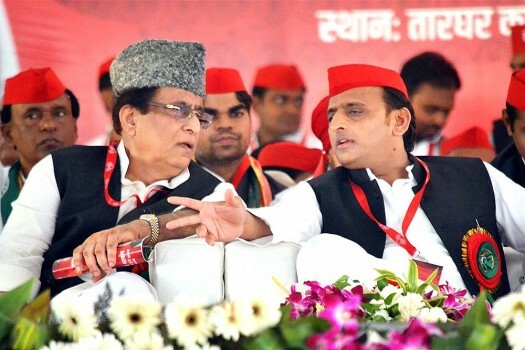 Samajwadi Party President Akhilesh Yadav talks to the party leader Mohd Azam Khan during the party's 10th National Convention in Agra. 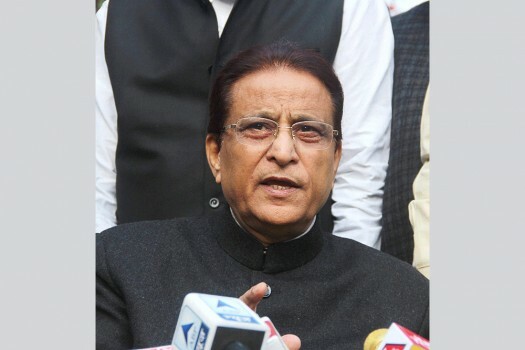 Samajwadi Party leader and UP state minister Azam Khan addresses a press conference, in Lucknow. 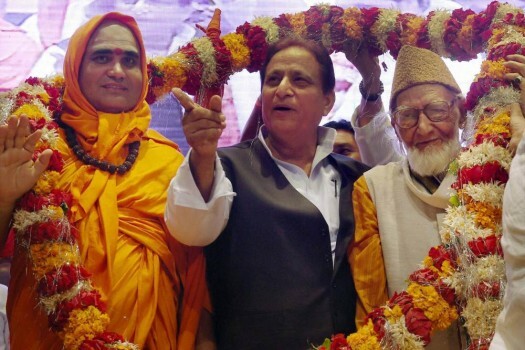 UP Cabinet Minister Azam Khan being garlanded by his supporters during the Jashn-e-Azadi Mushayara organised on his birthday in New Delhi. 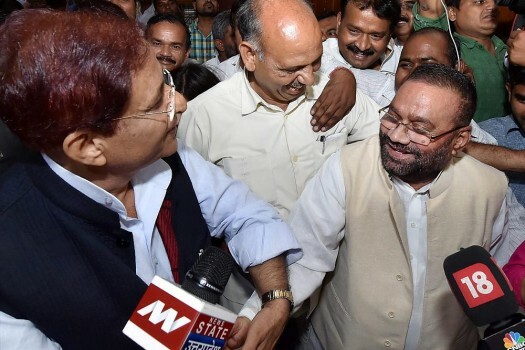 Swami Prasad Maurya shaking hands with SP leader Azam Khan after quitting BSP in Lucknow. 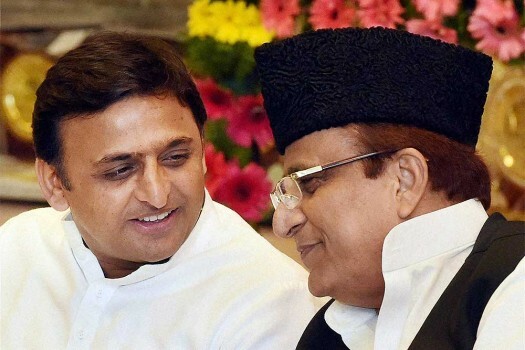 Uttar Pradesh Chief Minister Akhilesh Yadav with senior Minister Azam Khan at a function organised to felicitate Urdu students who topped in their districts, in Lucknow. Uttar Pradesh PWD Minister Azam Khan addresses a function organised to felicitate Urdu students who topped in their districts, in Lucknow. 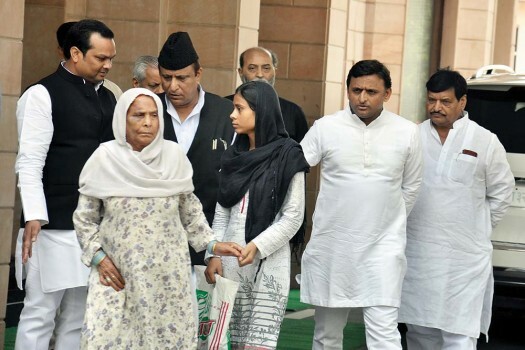 Family members of Akhlaq, who was lynched in Dadri with Uttar Pradesh Chief Minister Akhilesh Yadav, at his official residence in Lucknow. 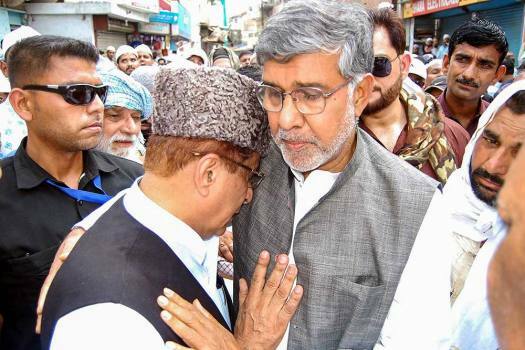 UP Cabinet Minister Mohammad Azam Khan along with Kazmi's son during Chalisva funeral of advocate general late S.M.A. Kazmi at his house, in Allahabad. 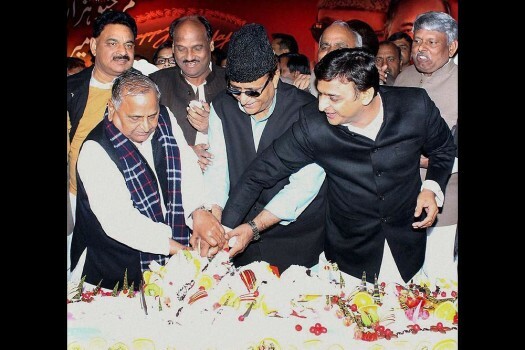 Samajwadi Party supremo Mulayam Singh Yadav with Uttar Pradesh Chief Minister Akhilesh Yadav and Azam Khan cutting cake on the occasion of Mulayam Singh Yadav's 76th birthday. 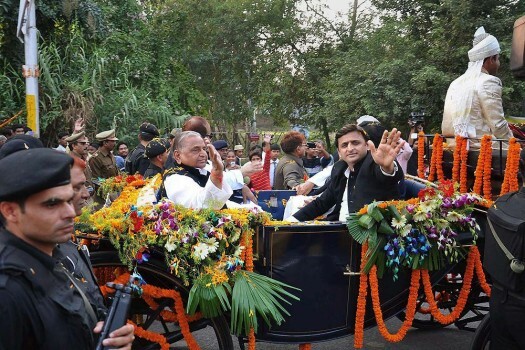 SP chief Mulayam Singh Yadav with his son and UP CM Akhilesh Yadav riding a Royal Buggy, brought from London, at an event to celebrate his 76th birthday in Rampur. 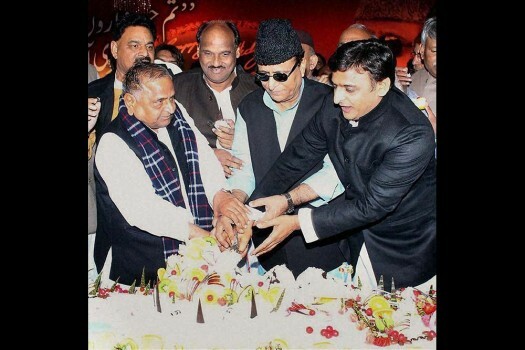 Samajwadi Party supremo Mulayam Singh Yadav with Azam Khan during the second day of the party's three-day convention in Lucknow. 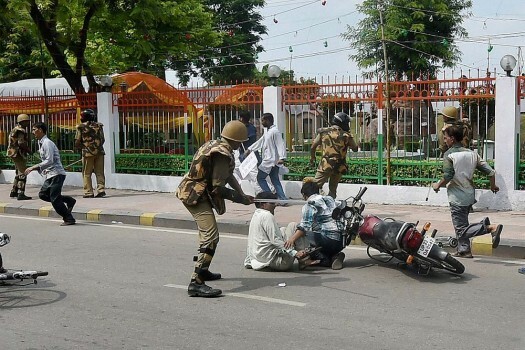 Policemen lathicharging Shia protesters who were marching to gherao Uttar Pradesh Waqf Minister Mohd Azam Khan's residence in Lucknow. 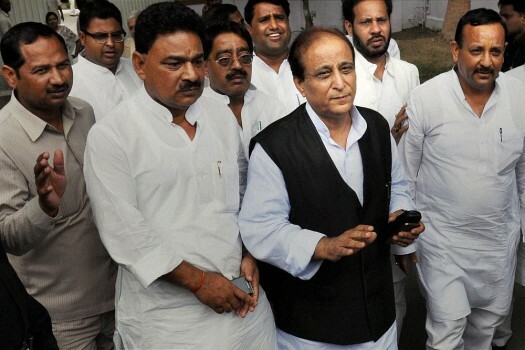 SP Politician Azam Khan with cabinet colleagues after meeting Mulayam Singh Yadav and Chief Minister Akhilesh Yadav in Lucknow. 'I used to see him as my son. 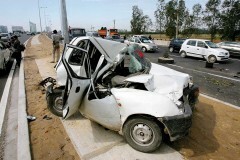 I had not expected this from him as I perceived him as an educated man,' Jaya Prada said. 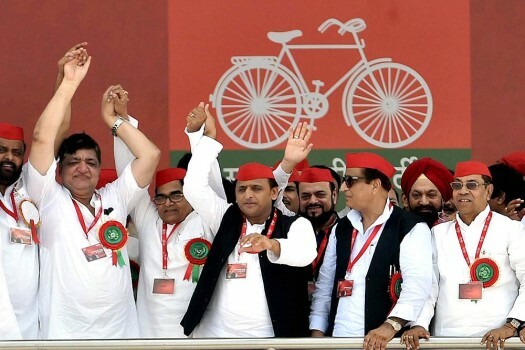 BSP candidate Guddu Pandit abused actor-turned-politician, Raj Babbar on a news channel, unfazed by the Election Commission's censure of Yogi Adityanath, Mayawati, Azam Khan and Maneka Gandhi for making hate speeches. While Azam Khan has been barred for three days, Maneka Gandhi will face the censure for two days starting 10 am on Tuesday. The EC order comes three days ahead of the phase two Lok Sabha elections. 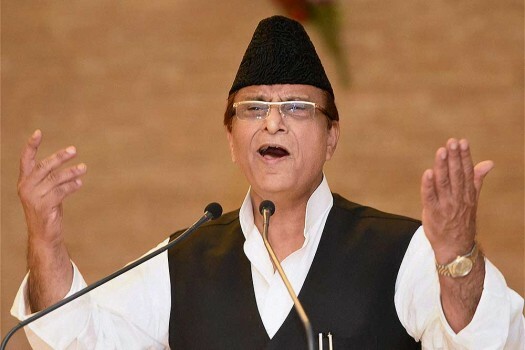 Samajwadi party leader Azam Khan claimed he did not make the remarks against his political rival and BJP candidate Jaya Prada. 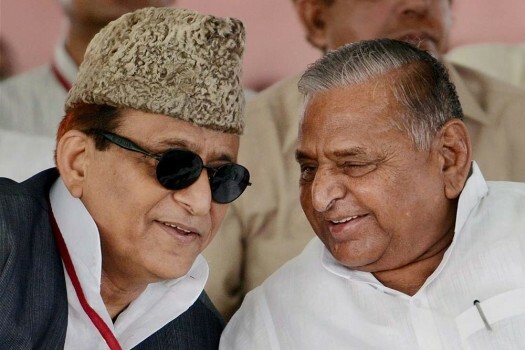 Veteran SP leader Azam Khan made an 'underwear jibe' which the BJP said was made against actor Jaya Prada, fighting the Lok Sabha polls from Rampur against him. 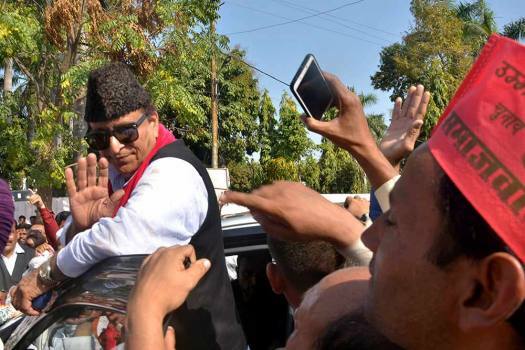 Prada is contesting the impending Lok Sabha polls from Rampur parliamentary constituency on a BJP ticket against SP candidate Azam Khan. 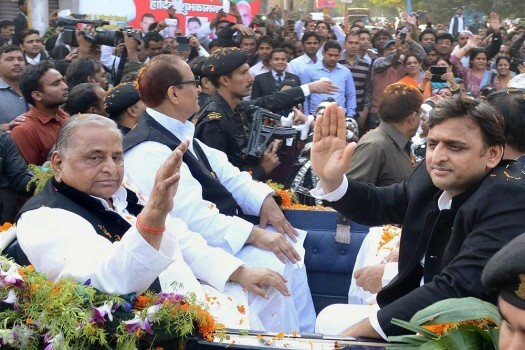 The SP revised the list Sunday and mentioned Mulayam Singh's name on the top of it before sending it to the poll panel. 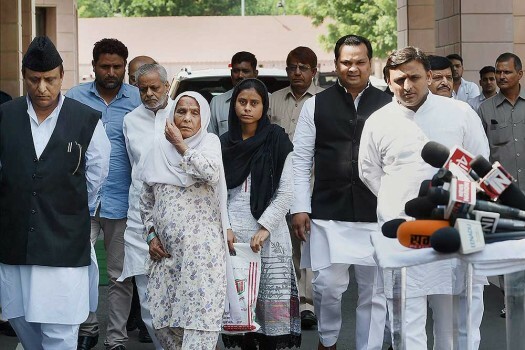 Asked to elaborate on the discussions at the national meeting about the political scenario, Yadav parried a direct reply, saying, "I am telling you about the decisions not the discussions." Hostile speeches and abusive ­remarks, it is now pervasively believed, can make or break electoral verdicts. Whenever rival politicians indulge in a war of words, the public avidly tallies who ‘won’ or ‘lost’ each round. This hatred for the Mughals and unrequited admiration for the British is something inexplicable in most Hindutva leaders. 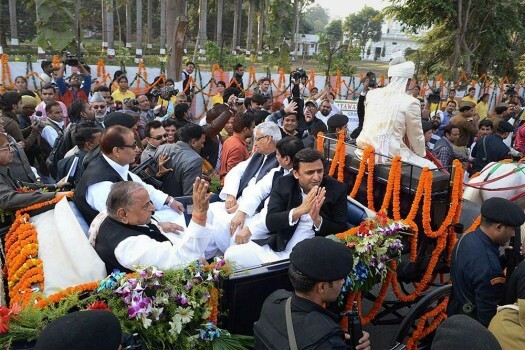 Can a communal riot have a silver lining? Or is the idea absurd?